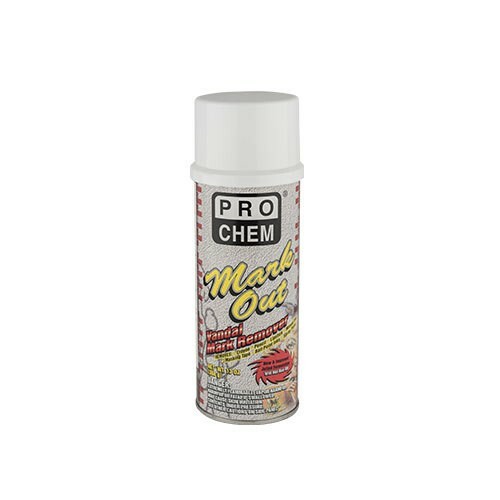 Mark Out | Pro Chem, Inc.
MARK OUT is a nonchlorinated, heavy-duty, thick, clinging gel that provides extended surface contact cleaning time. Cuts quickly through stubborn vandal marks without running or dripping. Effective on porous and nonporous surfaces. Removes spray paint, lipstick, tar, ink, marker, pen, crayons and more. Safe on brick, concrete, stone, tile, stucco, mirrors, porcelain, Formica, fiberglass, walls, doors, glass, metal and most painted surfaces. Spray onto marks from a distance of at least 8”. Wait 5-10 minutes. Remove with clean cloth or flush with water. If stubborn, repeat application. Note: Do not use this product on vinyl. Not recommended for high intensity road signs.